When a player reports an abusive teammate in Overwatch, the most common response is rarely fear, regret, or even an apology. It’s “go ahead!” Overwatch’s reporting system is opaque, like any game’s, but word on the street is that it’s toothless. As someone who spends roughly 10 hours a week playing Overwatch, I’ve seen toxicity increase since the game installed its new reporting system in March. As more and more players come around to the idea that Overwatch’s reporting function is ineffective, fewer apparently fear the usual repercussions of trolling. A story: The other night on PC Overwatch, my competitive team desperately needed a tank. We were a sad mix of squishy heroes. Unless we picked up a sturdy body to absorb enemy attacks up front, preferably with a shield, we’d get mowed. I’ll do it, I said on voice chat, switching to Reinhardt. But two tanks are better than one. It’s a pretty lax attitude to take under the threat of account suspension or a ban; but that’s because, for a lot of Overwatch players, that threat doesn’t seem to exist. 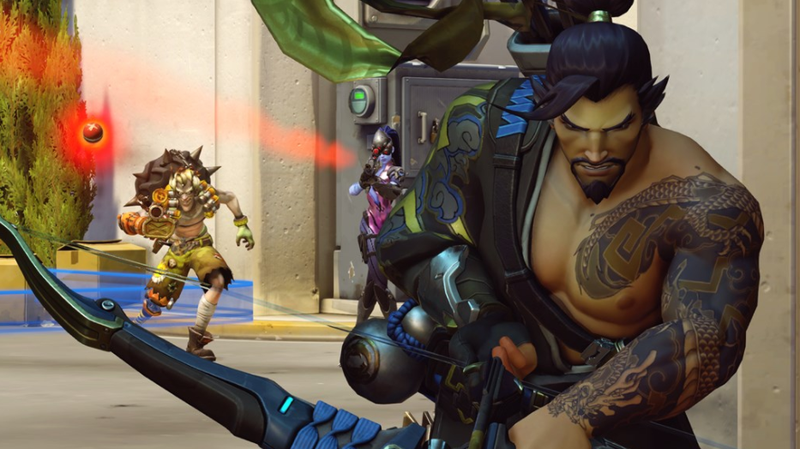 Players are pretty clueless about how Overwatch’s reporting function works. Forum posts and conversations with players indicate that a lot of people think reporting in Overwatch is more of a placebo than an management system for harassment. I’ve had rude teammates beg me to report them. And console players don’t even have a report function, although publisher Blizzard says they’re working on one. “Abusive chat” doesn’t have the same weight as “bad teamwork.” Having to deal with a crap Widowmaker on your team doesn’t really compare to someone making you feel unwelcome in a community you are attached to. Because so many players are baffled by Overwatch’s “Report” system, a few rag-tag fans have been conducting experiments on it. On /r/Overwatch, player TheOverwatchInt explained how, over a period of two days, he asked teammates in 50 Quick Play games to report him for abusive chat. A few days later, he received an e-mail from Blizzard notifying him that his account would be muted for a week. TheOverwatchInt concluded that the “Report” system works and estimates that he was reported a few dozen times. In the comments under his findings, fans noted that it took too long for Blizzard to react. Overwatch’s reporting system is still young, but as of today it’s failed to create the one thing that it needs most: a culture of fear. When you threaten to report a teammate, his or her first reaction shouldn’t be “go ahead.” Teammates should know when a player has been kicked for “abusive chat.” People who report others should hear what happened next. That way, Overwatch won’t feel like the wild west of rude teenagers it is right now.